Just because the internet has afforded everyone a wide array of tools that they can use to grow their businesses, doesn’t mean that growing a business from practically nothing, to something that investors will find “drool-worthy” is easy to pull off. The fact is, despite all the tools available, growing a successful business is by no means a walk in the park. You need grit, strategies, and hard work. We’re going to look into the 5 principles that successful millennial entrepreneurs are using to grow a successful business. To achieve nauseous levels of success, working hard isn’t going to cut it – you need to work smart. And that’s exactly what automation can do for you. The good news is, the internet is littered with bajillions of automation tools that have helped countless successful millennial entrepreneurs with their business. Automation tools can help syndicate content on their website to other platforms, thus helping them improve their brand visibility. They can also create turnkey sales funnels that enable them to continue taking (and processing) orders without them having to do anything, even automate the way they handle their customer support communications (among other things). When done manually, these tasks can be quite time-consuming. Depending on the scale of the business operations, the entrepreneur can find himself spending countless hours taking care of these tasks. When they are automated, however, they’d be able to complete the tasks in minutes. Because of how wary the people are of spammers, it’s becoming harder and harder to influence them to take out their credit cards and click the “Buy Now” button. This is particularly the case if they aren’t familiar with the person or business entity that’s selling them the merchandise. That’s where having an established brand comes in. The more established an entrepreneur’s brand is, the easier it becomes for the internet users to trust them with their money. Successful millennial entrepreneurs are establishing their personal brand through influencer marketing and content development. The figure is a dead giveaway of why the millennial entrepreneurs hit the home run with their strategy of establishing their online visibility – the internet is hands down the perfect place to fish for customers. Back in the day, business owners were dead-focused on creating the shiniest products. For them, it’s all about cramming as many features into their products. 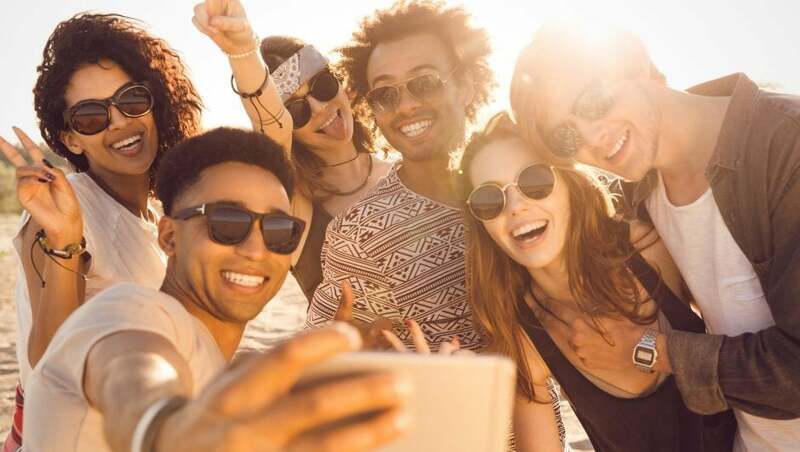 The business owners were more “product-centered.” In this day and age, however, the successful millennial entrepreneurs are more focused on solving their target audiences’ problems. This has helped them with creating products that provide real value to its users. After all, just because a product has hundreds of features, doesn’t mean that the buyers will use all of them. In most cases, the buyers will only ever use a small number of the product’s features. What is your morning ritual? What are your top productivity tools? What are some of the best time management tips that you can share with your community? These are some of the most common questions that successful millennial entrepreneurs are asked when interviewed. Considering how a good number of people are struggling with staying focused due to how distracting the internet has become (among other things, of course), it is only but natural for them to be looking for solutions to their productivity problems. Most successful millennials entrepreneurs have figured out a way that’s worked for them when it comes to increasing their productivity. More than that, they’ve even figured out a way to harness the power of the internet to their advantage, which leads us to the next point.